Wall sconce with a modern design, originally decorated through the combination of different materials and processes. White frame, chrome finishings, amber or white sandblasted diffuser. One 11 watt CFL bulb. Spot of sophisticated design, with painted wrinkled aluminum body, diffuser in plastic material (transparent polycarbonate), with spot optics of 45°. 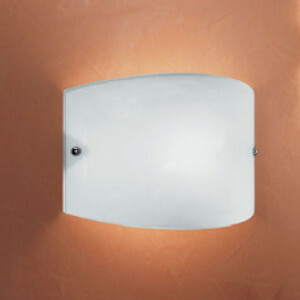 Modern design sconce with a white frame, chrome finishings, amber or white sandblasted diffuser. 30 x 27 cm, two 11 watt CFL bulbs. 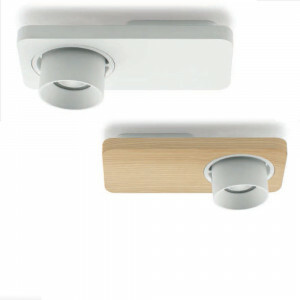 Bart is an elegant wall lamp with adjustable spotlight that can be used both as a wall lamp or a ceiling lamp. Bart is equipped with a transparent polycarbonate light diffuser from which the light is directed, and an aluminum structure, painted in white or black. 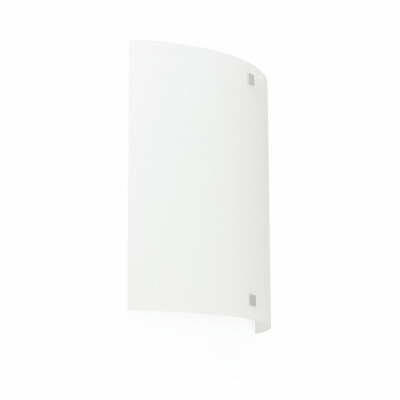 Bart is perfect to create light corners at strategic points of the room that tou want to enlight. Its elegant and refined lines combined with the versatility of this lamp allows its perfect fitting in any context, which enhances the living spaces and places of art, business space and accommodation facilities. 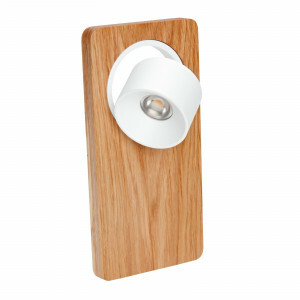 Modern wall lamp for indoors with adjustable LED light diffuser. The structure is made of varnished aluminium available in black or white with a cover in durmast. The driver is included. Wall lighting of modern and sophisticated design. 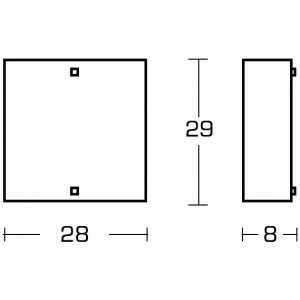 The body is in aluminum available in white, black or oak wood finitures. 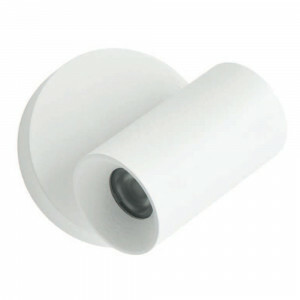 The diffuser is made of transparent polycarbonate. With 45° spot optics. 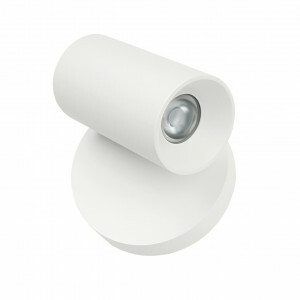 The LED light can be dimmed with the KIT0026 accessory.